Liver transplantation is surgery to remove a diseased liver and replace it with a healthy liver from an organ donor. A liver transplant is necessary when disease makes the liver stop working. The most common reason for liver transplantation in adults is cirrhosis, a disease in which healthy liver cells are killed and replaced with scar tissue. The most common reason for transplantation in children is biliary atresia, a disease in which the ducts that carry bile out of the liver are missing or damaged. Liver transplantation is usually done when other medical treatment cannot keep a damaged liver functioning. 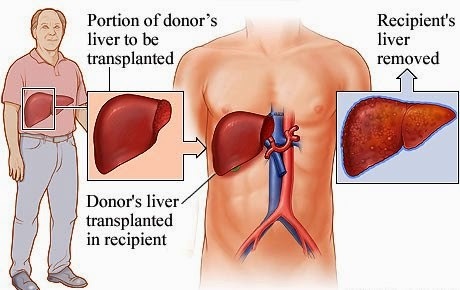 About 80 to 90 percent of people survive liver transplantation. Survival rates have improved over the past several years because of drugs like cyclosporine and tacrolimus that suppress the immune system and keep it from attacking and damaging the new liver.